When illness or injury strikes, the road to recovery is often paved with medications and therapies, in addition to a healthy diet, physical activity and plenty of TLC. Healing is serious business, and you must be kind to your body when it needs you most. But what helps us heal is not always sold over-the-counter, nor is it always available in the produce aisle. Sometimes it is asleep at the foot of the bed, begging for a treat, licking your face or running circles around your yard. I'm speaking, of course, about the power of dogs. Simply put, having a dog changes your life. These furry co-dependents fill our lives with meaning, and can teach us about love, loyalty and companionship. Despite their sometimes frenetic nature, dogs have a particular serenity about them. They are keenly in tune with human emotion at times of loss, strife, illness or other challenges, and may experience some of these same profound feelings themselves. 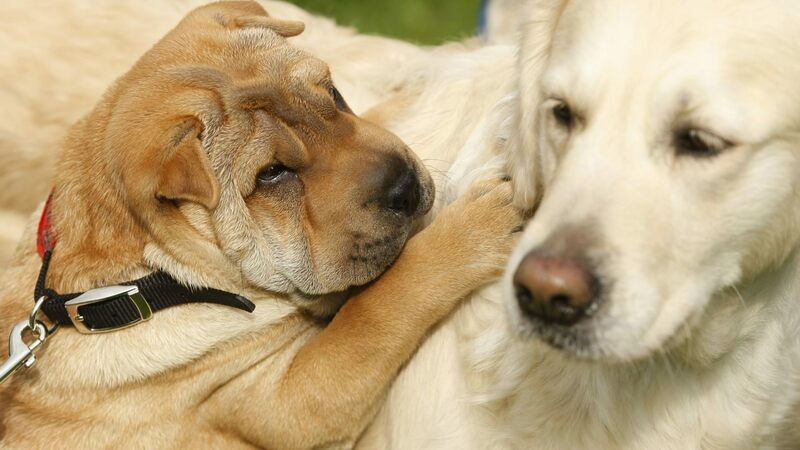 Animal behaviorists note that dogs "mourn" in their own way, sleeping more, eating less and moving slower after long periods of time away from those they are bonded to, human or canine. And anyone lucky enough to love a dog can tell you about their profound ability not only to sympathize, but to help heal; it is no coincidence that dogs are brought into hospitals and rehabilitation centers to make people feel better, physically and spiritually. People love cats and fish, but for me, dogs have always been the thing. And as it turns out, being a "dog person" has restorative benefits not unlike those of adhering to an organic diet and regular exercise routine. Last year, a study found that owning a pet – especially a dog – improved cardiovascular health by keeping people active. It also reduced stress responses in the body, and lowered blood pressure, cholesterol levels and weight. Other research has suggested that petting a dog makes us – and the dog – feel better, because it causes the body to release the affection-inducing hormone oxytocin. In addition to visiting health care facilities, specially trained dogs also assist the disabled with necessary tasks, can alert diabetics to low or high blood sugar levels and can help break down barriers with children on the autism spectrum. Canines are uniquely qualified to connect with other species. In fact, researchers at Duke University’s Canine Cognition Center found that dogs appear to be the only species unafraid of strangers; by contrast, they adore them. Taking care of a dog can be challenging at times, and losing a pet is pure, unadulterated heartbreak. But the positives of letting a dog into your life far outweigh any potential negatives. I have witnessed time and again at the Imus Ranch how caring for an animal – whether a horse, dog, chicken or cow – can bring people back to life. It allows children and adults battling illness to put that all aside, if only for a few minutes, to take care of another. While this is not a dog’s intended purpose, it is a happy byproduct – just one of many. I teach a lot about the importance of eating organic foods, avoiding chemical exposures, and exercising to achieve or regain health. Above all of those factors, however, I place a good sense of humor, fantastic music - and dogs. Any and all will do. As the season turns and we emerge from winter’s doldrums, laugh a little, turn up the volume and allow some four-legged joy to enter your life.